A small local museum in the small community of Coniston in the Lake District, Cumbria, Great Britain. The museum is worth a stopover when in the area for its section about Donald Campbell. Campbell was a car and motorboat racer who had achieved a series of world speed records (like his father had before him). He had been using Coniston Water, a long lake near the village of Coniston, for several of these hazardous speeding adventures. But on 4 January 1967 it went all wrong when his Bluebird K7 speedboat, in an attempt to set another record of over 300 mph, flipped over, broke up, killing Campbell instantly, and quickly sank. 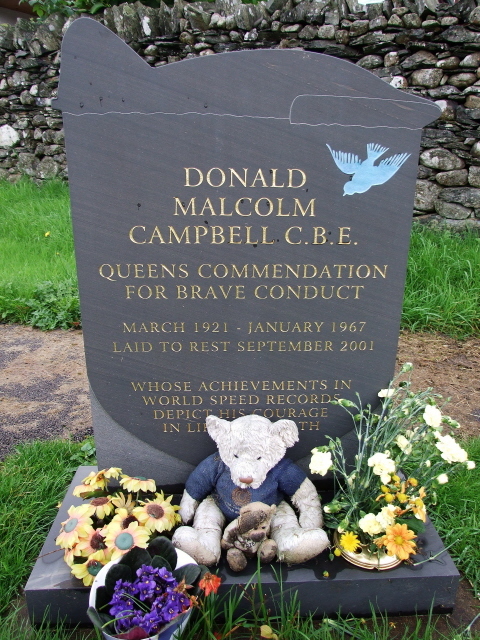 For over 34 years Campbell and his Bluebird remained at the bottom of deep Coniston Water, but in 2001 they were recovered by divers, first the wreckage, and several weeks later the body. Campbell now lies buried in the village cemetery. 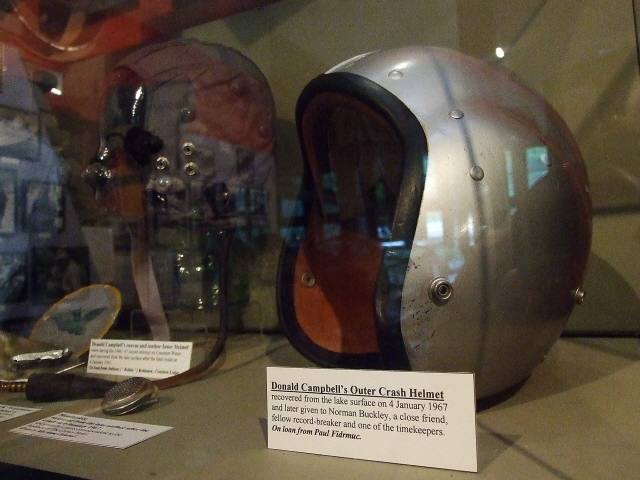 The remains of the speedboat are on display, together with personal effects (including Campbell's helmet), other artefacts, photos, etc. in the Ruskin Museum. A particularly touching exhibit is the text plaque with Campbell's last words … On a monitor the film footage of the accident is running in a video loop. It looks pretty scary. 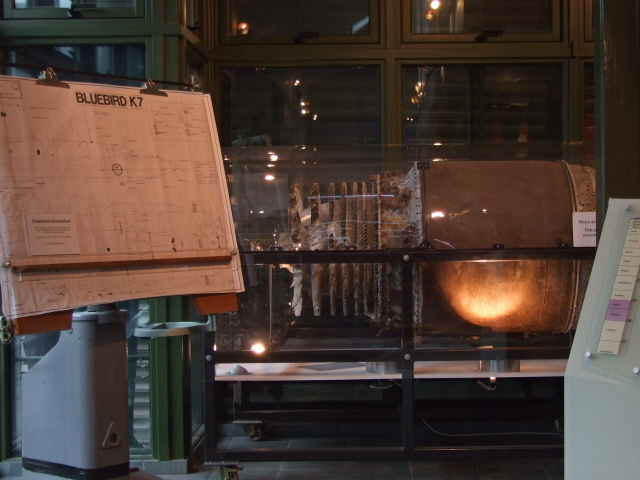 The Bluebird K7 is being fully reconstructed (97% of the wreck has been salvaged) and will be displayed in a new annexe to the museum – maybe it's already in place by the time you read this. At the time of writing it was apparently imminent. Opening times of the museum: 10 a.m. to 5:30 p.m. daily in the summer season (early March to mid-November), Wednesdays to Sundays 10:30 a.m. to 3:30 p.m. in winter (last admission 45 minutes before closing). The museum recommends a full hour for a complete visit – but if you're only interested in the section on Campbell and the Bluebird, half that will be well enough. Admission fee: 5.25 GBP (children 2.50). 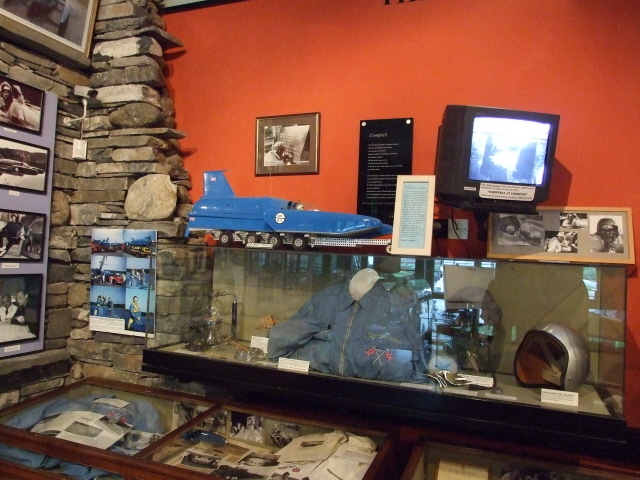 Campbell's legacy and images (including those of the fatal accident) permeate the whole of Coniston, including a local pub and a top-end B&B/Hotel (where more artefacts are displayed, due to the owners' link with the Campbell family). Location: in the centre of the small village of Coniston, Cumbria, a good 100 yards north of the bridge.